Having a restyle at hairdressers in Sawtry as Rumours Hair Salon, has the power to make you feel like a completely new person. Booking in for a restyle in Sawtry can be a great idea if you are starting a new job, going to an interview, at the beginning of a new relationship, off on a fabulous holiday, or just needing a little boost in your life. A hair restyle makes you feel new, fresh and confident. Your new restyle will bright out the best in you and your personality. Watch out world – you’ll be back bigger & better than ever before. A restyle could be as simple as a blow dry for volume, getting your hair curled or straightened. However, a hair restyles could also mean getting your hair cut dramatically short or trying out a new colour for your hair, whether that is a subtle shade darker, or a full-on new dramatic and attention-grabbing colour. If you are feeling ready to see a new you the next time you look in the mirror, or just need a confidence boost for a first date or job interview, then contact us now to book a hair restyle appointment in Sawtry. We will take the time to understand what you want from your hair, and we will consider things like your skin tone, the shape of your face, your lifestyle and hair care regime along with your hair texture and condition. We can then discuss the best hair restyle for you, which suits your needs, requirements and personality. Then the magic starts! 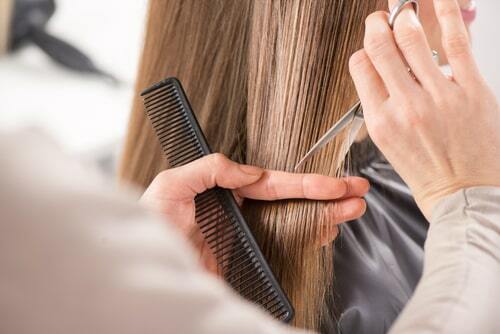 Your professional hairdresser will create the style that is perfect for you, before talking about how to maintain it until your next visit, and keep it looking its best for your big moment. If you’d like to discuss a hair restyle with an experienced hairdresser, or you’d like to book an appointment pop in to see us, drop us an email, or call the salon.